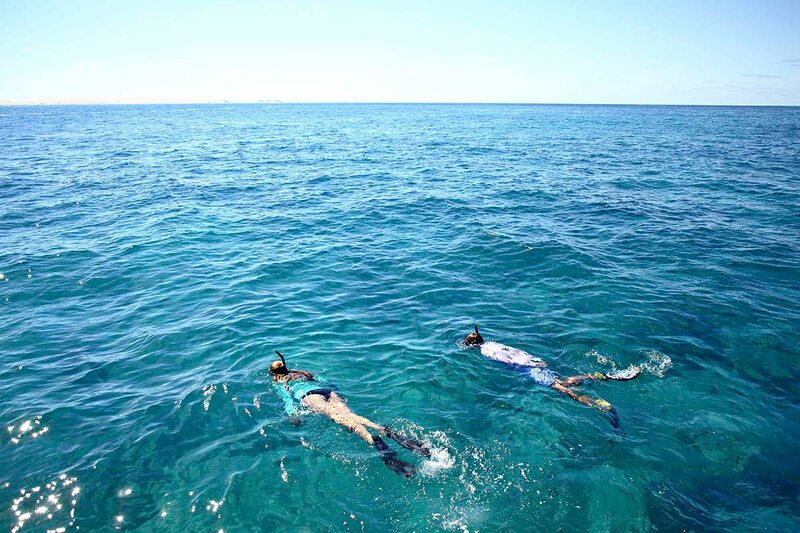 Sailing to a reef on board an inflatable boat during your Mozambique holiday lets you see the Indian Ocean’s sparkling surface before you plunge beneath it into its warm, turquoise depths. 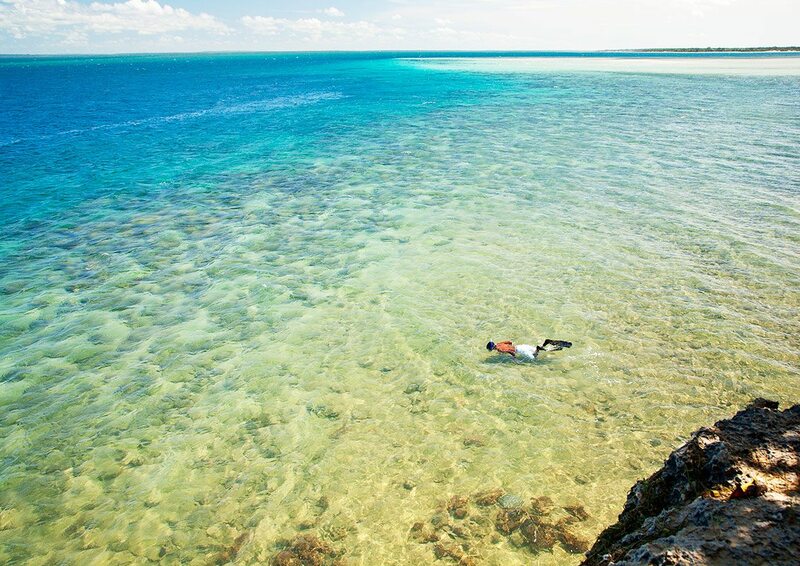 With pristine coral reefs and a profusion of fish species and other fantastic beasts, Mozambique snorkeling is spectacular. 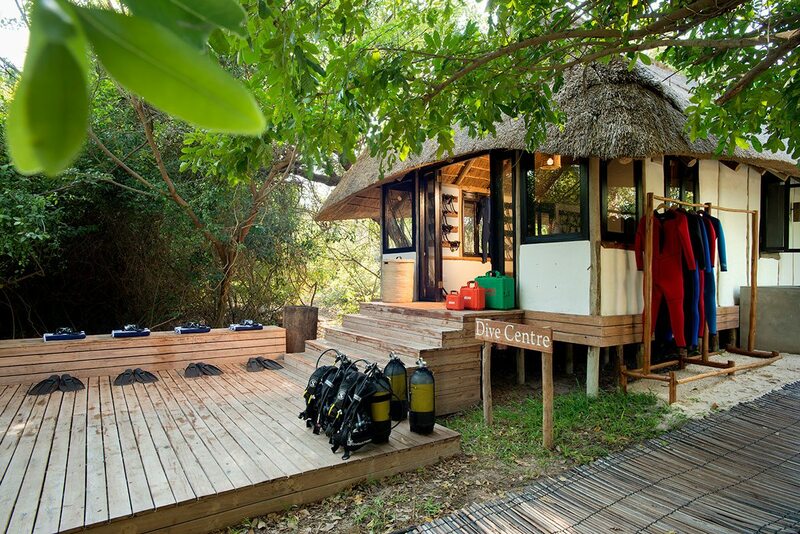 Every part of our Mozambique snorkeling experience was perfect, from the moment we met the smiling divemaster at the coral-block dive centre. 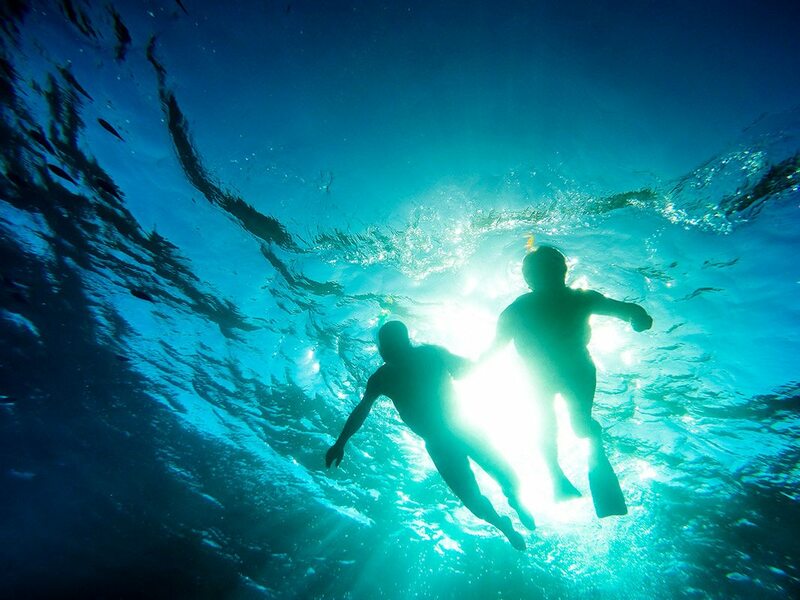 His enthusiasm was infectious – he spent almost as much time in the water as on land, and couldn’t wait to share his undersea kingdom with us. We were soon kitted out with brand new flippers, masks, rash vests and snorkels from the wide selection on display. It wasn’t hard to find our sizes. 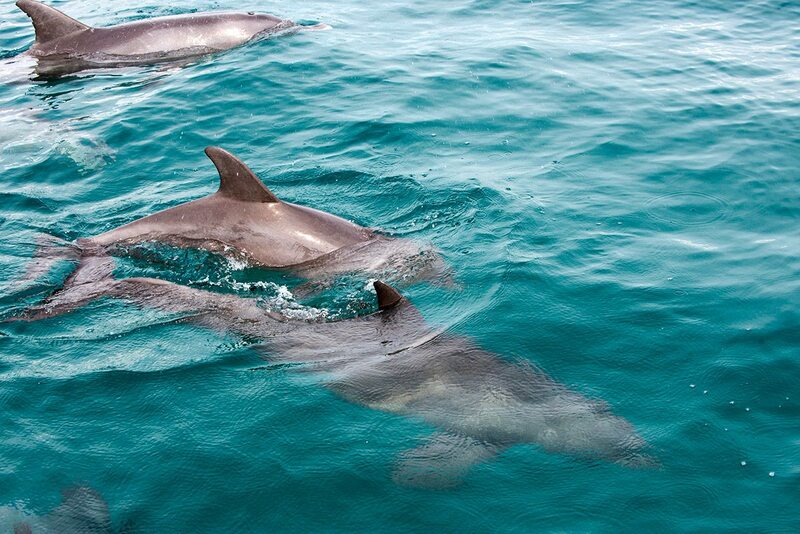 Wading out to where the inflatable boat rocked in the shallows, we were greeted by the rest of the crew. As well as the captain we met the chef, causing my partner to remark that this boat ride would be no hardship. The divemaster spent part of the voyage to the reef telling us about the ecology of the area, and some of the marine creatures we were likely to see. 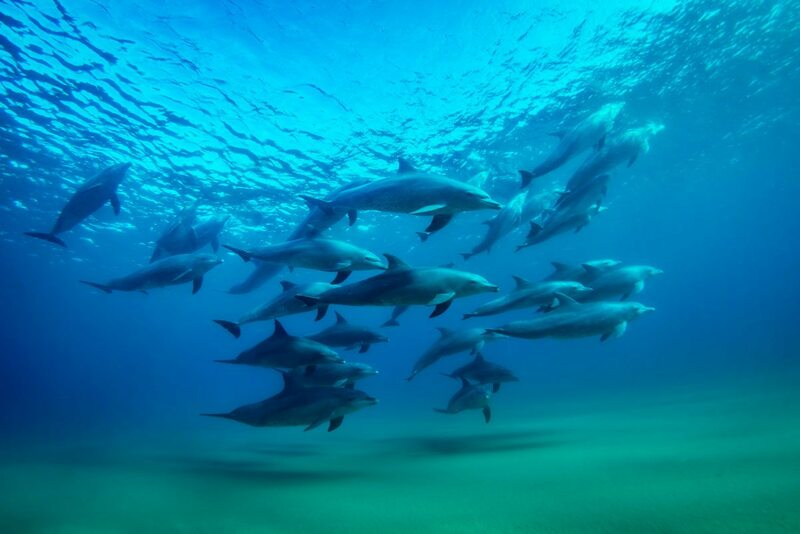 At least that was his plan, but those same creatures had other ideas, and he was interrupted first by a shoal of flying fish, then by the pod of dolphin that was chasing them and lastly by hundreds of rays spread out beneath us like a tiled floor. 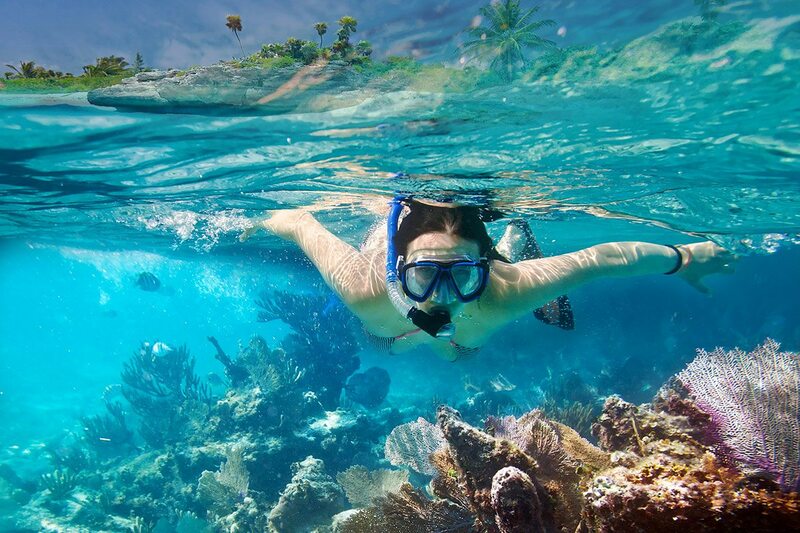 Closer to the reef, the captain threw the anchor overboard, taking great care not to hit any of the coral formations. 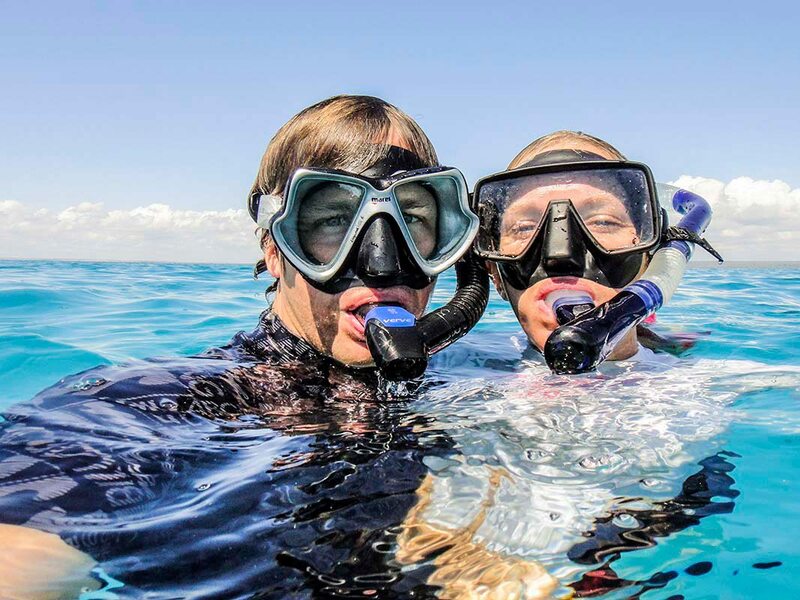 The divemaster helped us with our masks and snorkels, and we padded backwards to the gunwales and rolled into the deep. 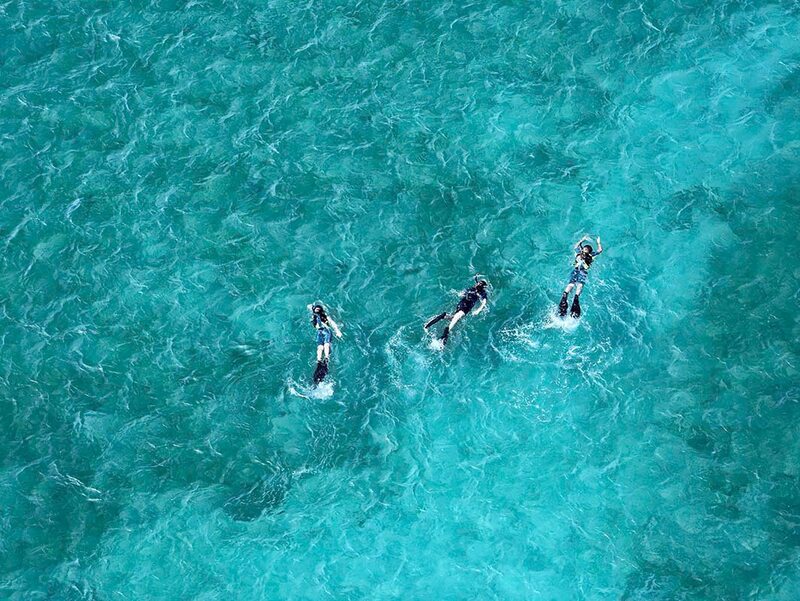 Powered by our flippers, we were soon above the reef. There was a slight current running parallel to it, and following our divemaster’s lead, we allowed it to carry us the length of the reef. It was not unlike being on an elevated city train, going past lighted apartment windows at night and getting glimpses of the lives of strangers. Except of course no city neighbourhood could be this colourful and cosmopolitan. A nice touch from the dive centre was the laminated fish guide that I had attached to my wrist, with an underwater pencil (no, really!) for ticking off what we saw. The variety and number of fish species was breathtaking – and each time we swam back up to the surface to take a breath, the scene below us had changed. The highlight for my partner was a brief race with a manta ray, while I loved meeting a large potato grouper who was clearly something of a local celebrity. Willing hands helped us back onto the boat where we were greeted first with fluffy warm towels, and then with steaming enamel mugs of hot chocolate and warm Mozambican paõ rolls. 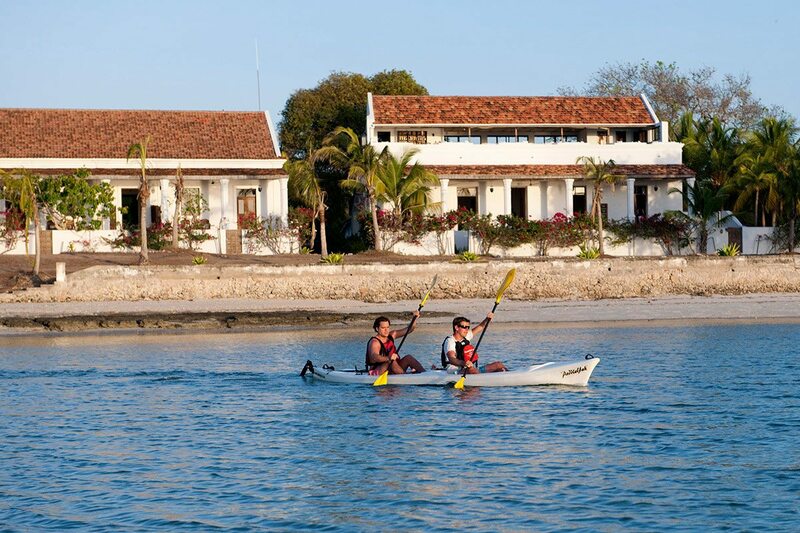 The combination of this and the sunshine warmed us inside and out as we sailed home to our luxury Mozambican lodge. 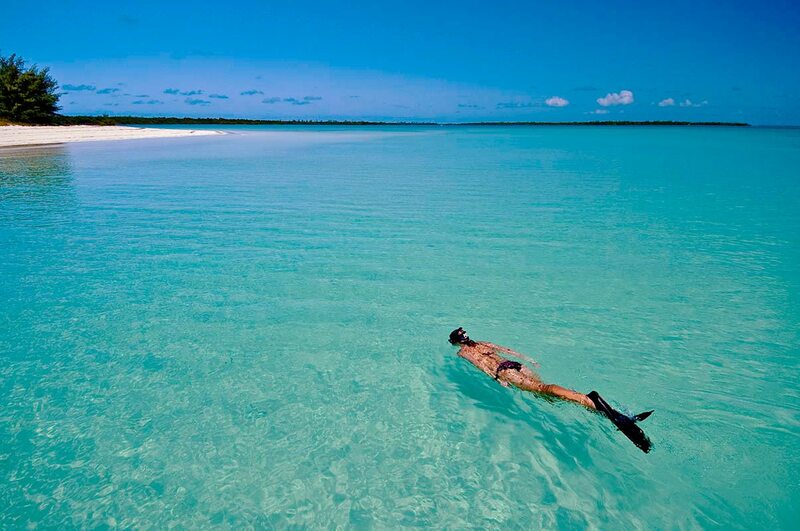 Mozambique snorkelling is suitable for all ages and levels of fitness. 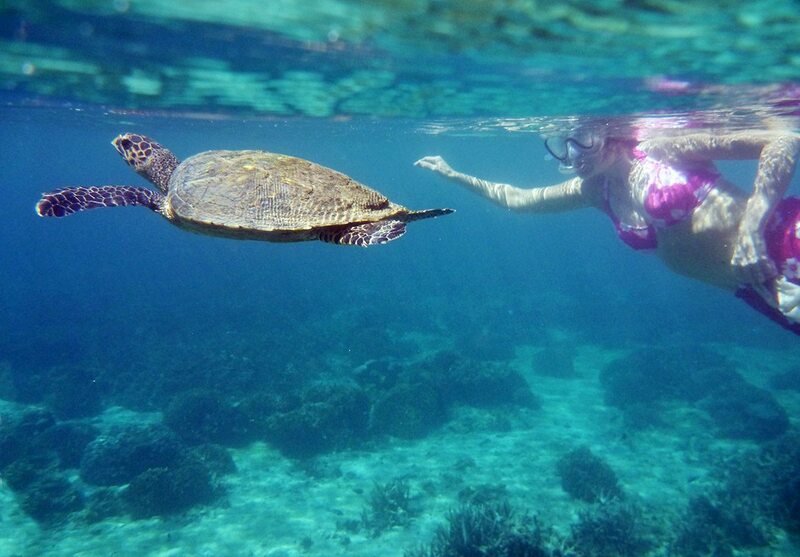 Turtles can sometimes be seen when snorkelling in Mozambique. 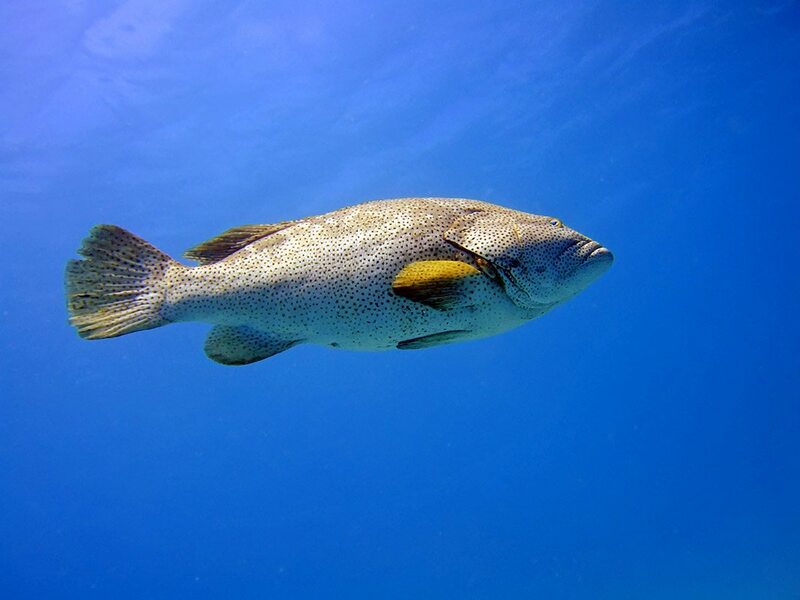 The Mozambican waters are home to large groupers, as you’ll see when snorkelling. 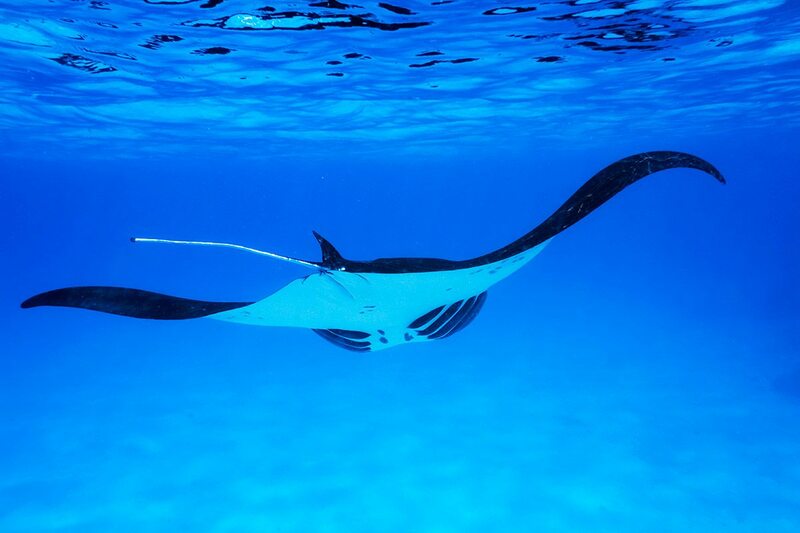 Try race a manta ray when snorkelling in Mozambique.